The Design Lab works with departments and divisions throughout the University. This ad welcomes applicants for a position in a department within the Jacobs School of Engineering, including Computer Science & Engineering, Electrical & Computer Engineering, Mechanical & Aerospace Engineering, and Structural Engineering. Companion ads are available for positions in the School of Medicine and Division of Social Sciences. Assistant Professor candidates must have completed a terminal degree (or advancement to candidacy)--such as a PhD, MD or equivalent doctoral degree and show great promise in teaching, service and research. contribute to a campus climate that supports equity, inclusion, and diversity. Other relevant areas are welcomed. 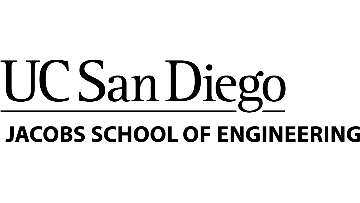 For applicants with interest in spousal/partner employment, please see the UCSD Partner Opportunities Program. Appointments are expected to begin July 1, 2019 and salary is commensurate with experience and based on the University of California pay scales. Applications received by February 18th will be given full consideration. The position will remain open until filled.